• Domestic partnerships - in California a domestic partnership is recognized when persons meeting the criteria listed by California Family Code section 297 file either a Declaration of Domestic Partnership (Form NP/SF DP-1) or a Confidential Declaration of Domestic Partnership (Form NP/SF DP-1A) with the California Secretary of State. • Adoption - a procedure whereby a person accepts the parenting for another and, in so doing, permanently transmits all rights and responsibilities, along with filiation, from the biological parent or parents. • Legal Separation - a legal procedure by which a married couple may make official a de facto separation while remaining legally married. A legal separation is allowed in the form of a court order. • Child abuse - the physical, sexual or emotional mistreatment or neglect of a child or children. • Prenuptial Agreement - usually abbreviated to prenup is a contract entered into prior to marriage, civil union or any other agreement prior to the main agreement by the people intending to marry or contract with each other. • Legitimacy - the standing of a child born to parents who are legally married to each other; and of a child conceived before the parents receive a legal divorce. • Child Abduction - the unauthorized removal of a minor from the custody of the child's natural parents or legally appointed guardians. • Divorce/Dissolution of Marriage - the end of a marital union, stopping the legal duties and responsibilities of marriage and ending the bonds of matrimony between the parties. • Property Settlements - a legal division of property rights and responsibilities between spouses during divorce. It may be done by agreement, through a property settlement, or by judicial decree. • Spousal Support/Alimony - is a legal responsibility on a person to give financial support to his or her spouse after marital separation or divorce. • Child Custody - legal term which is used to communicate the legal and practical bond between a parent and child, such as the right of the parent to make choices for the child, and the parent's duty to care for the child. • Annulment - declares the marriage null and void. • Child Visitation - permission granted by the court to a noncustodial parent to visit his or her child. • Child support - a constant, payment made by a parent for the financial benefit of a child following the end of a marriage or other relationship. • Paternity - the legal area dealing with establishing or disputing "paternity", the legal relationship between a father and his child. • Domestic violence - also known as domestic abuse, spousal abuse, battering, family violence, and intimate partner violence (IPV), is a pattern of behavior which entails the abuse by one partner against another in an intimate relationship such as marriage, cohabitation, dating or within the family. Temporary restraining orders/TRO - A temporary restraining order (TRO) may be issued for short term. A TRO usually lasts while a motion for preliminary injunction is being decided, and the court decides whether to drop the order or to issue a preliminary injunction. • Mediation - is a form of alternative dispute resolution, a way of resolving disputes between two or more parties with concrete effects. • Modifications - applying to the post divorce procedures where Individuals are looking for changes in their court orders. For example, changes in custody, support matters. If you find yourself in need of family law services in the Orange County, Los Angeles County or Riverside County communities, please contact us. We are located within walking distance from the Orange County Court house in Orange. 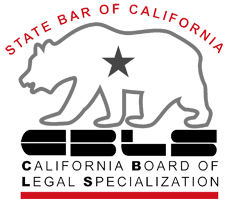 Our goal is to posts articles on our blog section of this website dealing with all matters surrounding California Family Law legal topics. We offer a free consultation in order to discuss you California Family Law case. Saturday appointments are available per request.